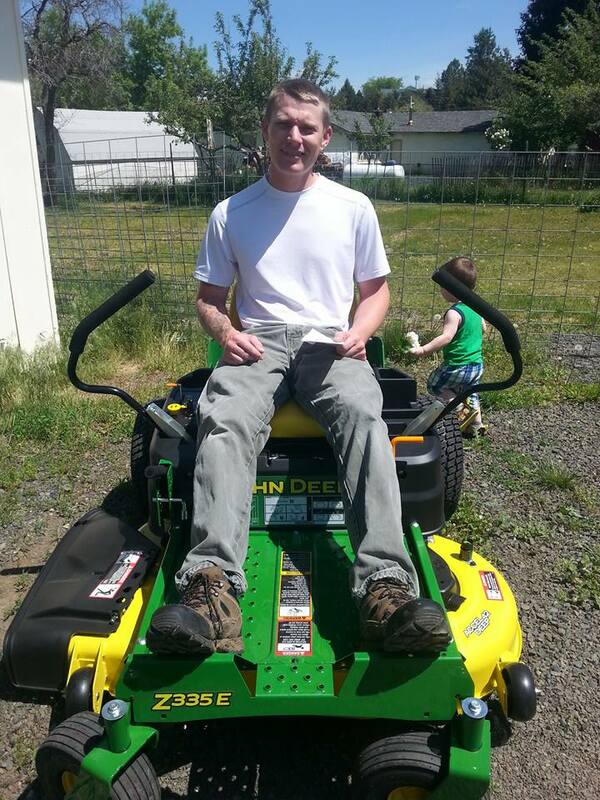 If you don’t think you and your trusty lawn mower have the power to make a difference in your community, think again. 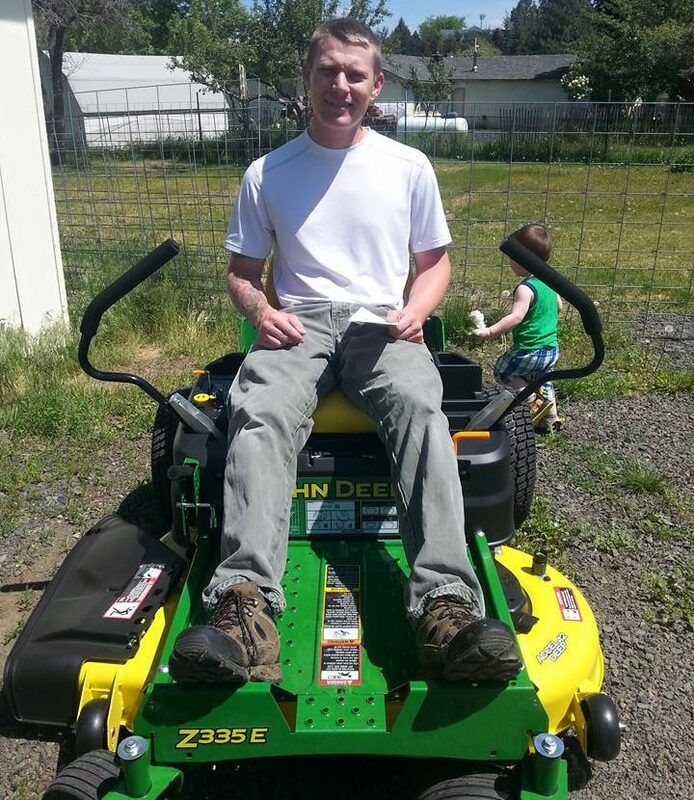 Whilst a lawn mower and an able body might seem like standard pieces of equipment to a lawn mowing pro, they can represent insurmountable obstacles to the poor, disabled and elderly who cannot afford a lawn mower and/or whose bodies do not let them easily mow their lawn. Yes, if you run a mowing business, you still need paid lawn mowing jobs. But wedged in between your scheduled appointments, maybe think about ‘paying it forward’ this year and using your lawn mower for some good deeds too? To inspire you, we’ve put together this collection of five, feel-good, lawn mower ‘good news stories’. Enjoy! Their goal was 40 lawns in two months. They mowed 100. And not long after, thanks to 20 committed volunteers, Rodney’s organisation had mowed over 300 yards for recipients in need, without recognition or fanfare. But in April 2016, that was to change, when Rodney Smith Jr. uploaded a photo of him, his friend Terence, and their 93-year-old neighbour to Facebook, after they mowed her lawn. 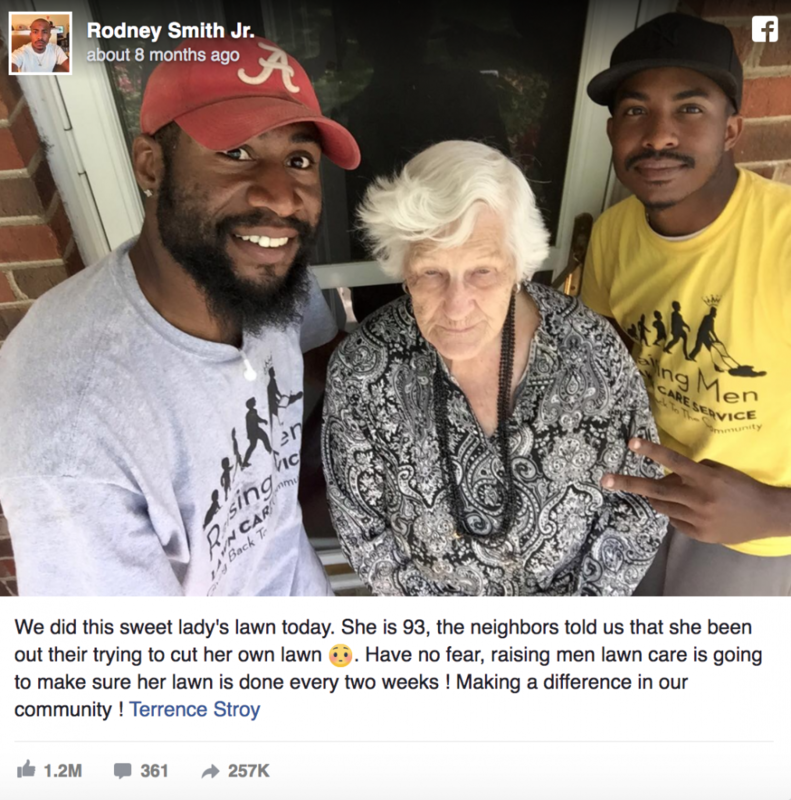 The good news story Facebook post went viral and eight months later, had received 1.2 million ‘Likes’ and 251,000 shares. Four young brothers from Texas made headlines in June 2015, when they saw a KWTX news report about elderly woman Gerry Suttle (who had a police warrant issued for her arrest because the grass on one of her properties was too high) and decided to mow her lawn to save her from jail. 75-year-old Suttle told police that she never received a notice to appear in court, but the boys didn’t waste time debating the notice, they just piled into their parents pickup truck and were driven to the address mentioned in the news report, which was the land that Suttle owned across from her home. In May 2016, Jenny Brown reported on Shareably, the wonderful good news story of Christopher Garrett, an army war veteran who was shot in the lower abdomen while deployed overseas in Afghanistan, and as a result was forced to retire from the military due to injuries that left him disabled. 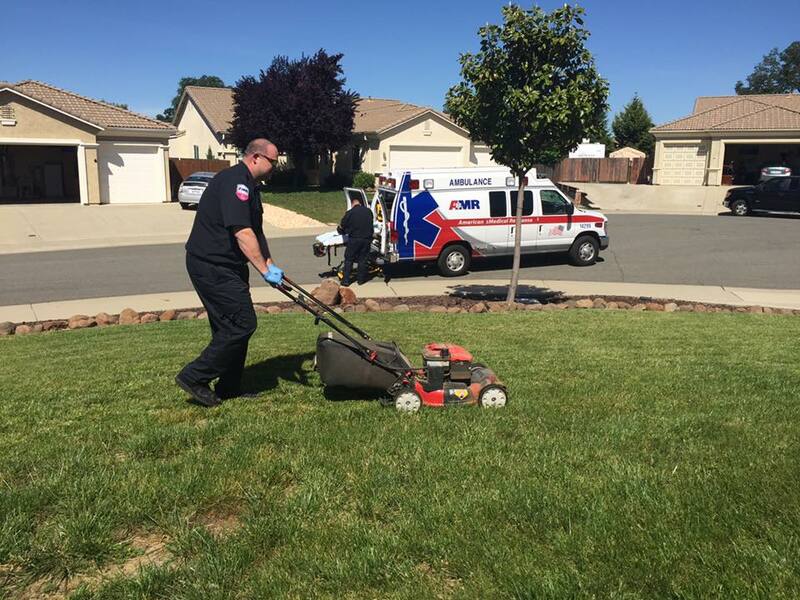 Our final lawn mower good news story is about an American cop (yes, all the stories in the post are from the US… we need some more in the Press in Australia!) 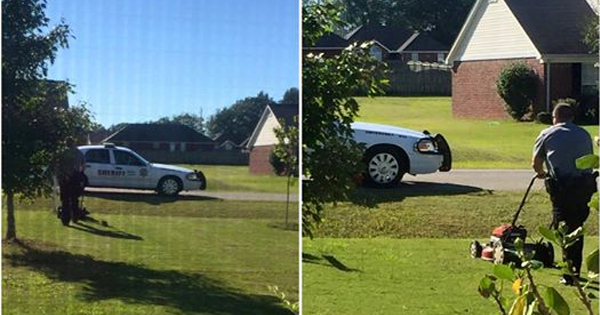 who saw a mother mowing her with a baby in her arms and unexpectedly stopped his police car and insisted on finishing her lawn! Those are great stories! Amazing! Congratulations all! There are a lot of good people out there! Thanks for sharing the stories.